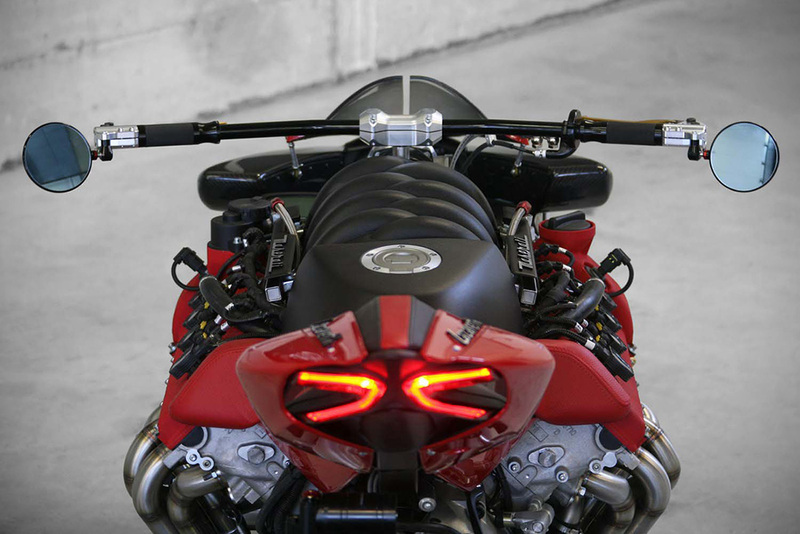 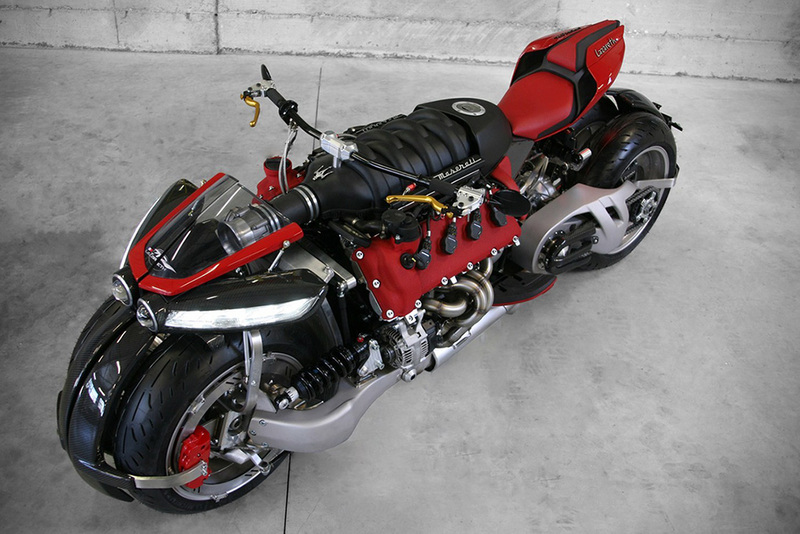 The Lazareth LM 847 features a duel-wheel hub center steering front end and duel back end wheels to boot, mounted upon a monstrous Maserati engine – V8, 32-valve powerhouse packing 470hp at 7,0000rpm. 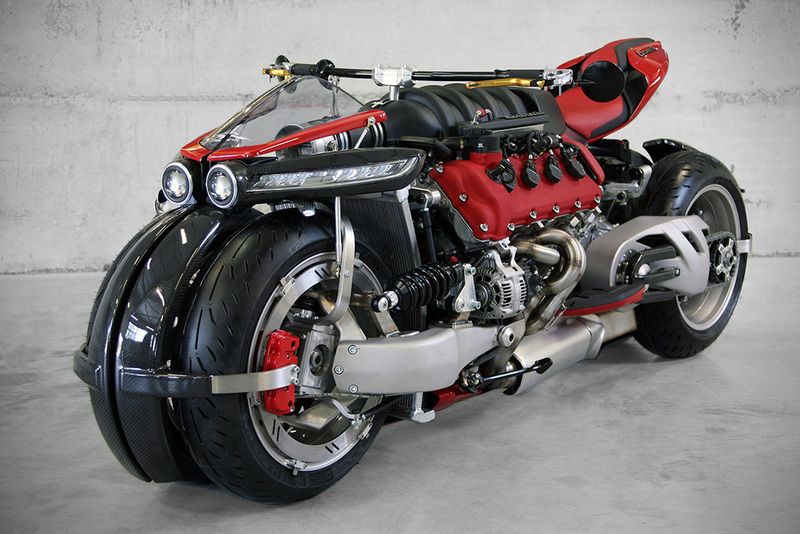 In terms of torque, the Maserati V8 engine is good for some 457 lb-ft at 4,750 rpm. 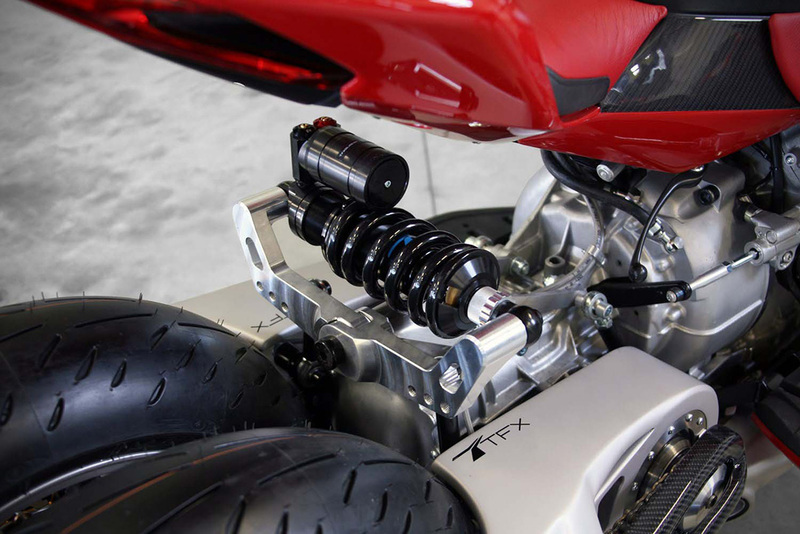 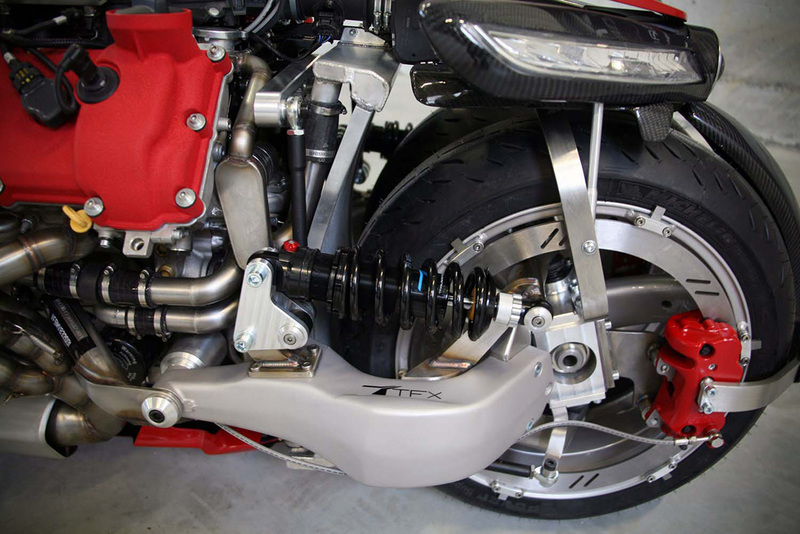 In terms of transmission, the LM847 has a single-speed gearbox with a a hydraulic coupler and duel chain final drive meaning the bike requires zero shifting while in use. 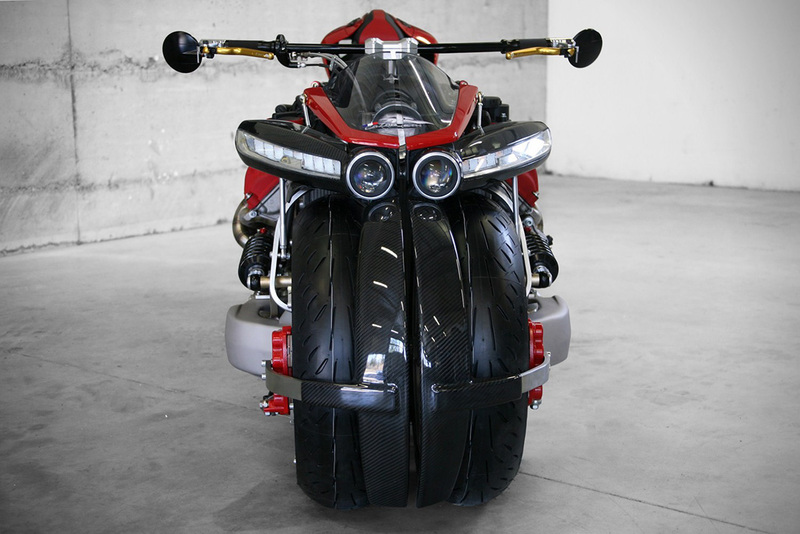 It is priced at $217k and is available now for anyone with a death wish.